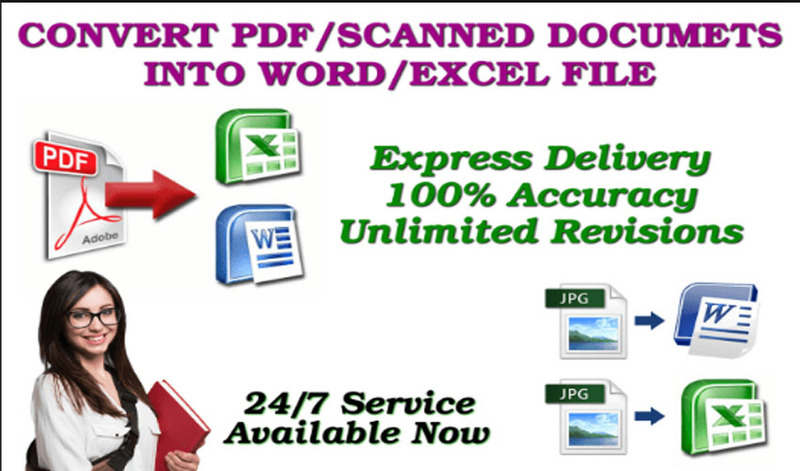 I can convert 15 pages of PDF file into, EXCEL, or MS WORD with 100% accuracy just for $14. I am well experienced in this sort of jobs and have been working since years. 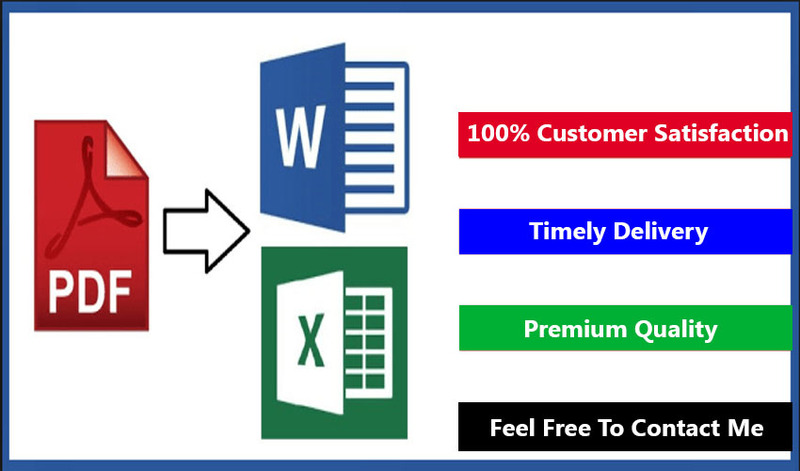 I can deliver you a quality work and done on time. My typing speed is 50+WPM. Just hire me and get your JOB DONE. Full instructions and File you want to be typed. If you're looking for a creative and committed freelancer to help you grow your business, I'd love to help. I have a diverse range of sales, marketing, design and copywriting...Read moreIf you're looking for a creative and committed freelancer to help you grow your business, I'd love to help.